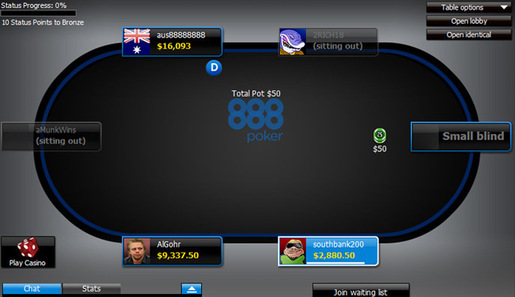 Online poker site 888, a business-to-business and business-to-customer provider, is looking to be a dominant player in a future Nevada online gambling market. The Gibraltar-based company, which received a Nevada license this month, has partnerships with casino firms Caesars and Treasure Island, as well as slot machine maker WMS Gaming. 888 Holdings is arguably best known for poker, but it offers a wide array of betting. In Nevada, 888 is considered a “manufacturer, distributor and provider of an interactive gaming system,” which means it can’t run the gambling on its own. The company, according to Silver State rules, had to partner with an existing brick-and-mortar casino. Firms that deal in game technology have a history in Nevada of doing business with multiple casino operators, so the moves by 888, while noteworthy, are not surprising. Earlier this month it came out that its 2012 poker revenues are up 44 percent to $87.5 million. 888 was once taking action from Americans, but after the 2006 Unlawful Internet Gambling Enforcement Act put a damper on the party, the firm pulled out of the U.S.
For more news and tournament info from Nevada, check out the state’s landing page. So its gonna be like X amount of casinos with the 888 software under different skins competing against each other by offering a higher rakeback or rewards.